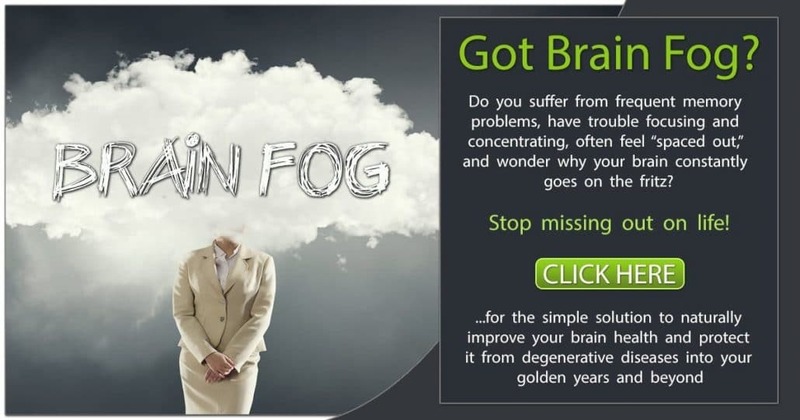 HomeBrain HealthIs The Environment Causing Brain Issues? Nearly anything in the environment can affect your health. Scientists have been looking into environmental causes of illness for centuries. Is the environment causing brain issues? What impact does the state of the modern environment have on your brain’s health? 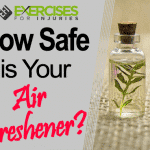 Let’s find out what the dangers are and how to protect yourself. The environment is basically everything (living and nonliving) that surrounds us. When we hear about environmental health risks, we tend to think about land, air and water pollution. However, there are other issues to consider as well, such as how radiation, energy and sonic (sound) forces might affect your health. One classic example is lead poisoning. The human brain is highly sensitive to lead toxicity, which can lead to learning disabilities, especially in children. Lead exposure can happen through contaminated air, water, dust, food or consumer products. Air pollution occurs due to harmful or excessive quantities of contaminants like gases, particulates and biological molecules released into the atmosphere. These substances can come from man-made sources like factories and cars or natural sources, such as volcanoes and forest fires. The most common effect of air pollution is on the lungs. Your brain is also at risk since some contaminants may be able to cross the blood-brain barrier. Many studies have looked at the link between air pollution and brain health. One study published in JAMA Psychiatry made a connection between pollution and autism. Researchers concluded that children who lived in areas with high levels of vehicle pollution were more likely to suffer from neurodevelopmental disorders. Another study at the University of Rochester Medical Center reported that mice exposed to rush hour level air pollution developed behavior changes. The researchers observed a negative impact on learning, activity and impulse control thought to be caused by pollution. These findings lasted even after exposure to air contamination ended. A third study looked at worker performance in a conventional building versus a “green” building equipped with air filters and other environmental protections. The study showed that when people worked in places with low volatile organic compound (VOC) concentration, cognitive function improved dramatically. Other evidence points towards the possibility that air pollution may increase your risk for Parkinson’s disease and Alzheimer’s disease. Stay indoors if the Air Quality Index goes above 100 or if there is an ozone alert. Electromagnetic fields (EMFs) are present whenever you’re near anything that works on electricity. This means that microwave ovens, Wi-Fi, mobile phones, computers and power lines all transmit EMFs. Some scientists claim that the EMF coming from Wi-Fi routers can weaken the blood-brain barrier. Even though the EMF itself might not harm your brain, it could make your brain more vulnerable to toxins. There’s much debate whether cellphones are dangerous or not. One of the reasons they may be especially harmful is that cellphones are kept close to the body. There is some anecdotal evidence that brain tumors might be caused by cellphone use; however, no conclusive studies have confirmed this. Cellphones are a relatively new phenomenon. If they do cause cancer, this may begin to show up now in the years to come. Another source of EMFs are power lines and many people worry about living near power line towers. Still, unless you live directly under the tower, your risk from power line EMFs is about the same as from a microwave oven. The distances between you and the power line mean any harmful effect dissipates before it reaches you. Many people think of pollution only in terms of smoke or contaminated water, but noise pollution can be harmful too. Cars, trucks, trains, airplanes, construction and office noise can all take their toll. In fact, the World Health Organization estimates that the annual cost to Europe from excessive noise levels is $52 billion. This includes lost working days, health care costs and lower productivity. Continued excessive noise can lead to a range of symptoms like irritability, psychiatric disorders, personality changes and even violent reactions. Even noisy neighbors can have a significant impact on mental health leading to persistent sensations of frustration and emotional stress. The negative effect of excessive noise on child cognitive development has been shown in many studies as well. In the workplace, noise pollution can be especially disturbing. Computers, printers, human activity and conversations can all lead to distracting noise levels. The trend toward open office spaces may be harmful since human conversation is particularly difficult to tune out. One counterintuitive solution is white noise. Some people play a recording of ocean waves or continuous “white noise” to mask other distracting sounds, especially when sleeping. Polluted water can come from multiple sources and in many forms. For example, you can have water contaminated by living organisms, toxic metals, sewage, chemicals, radiation, oil and plastics. The effects of water pollution on the brain can vary depending on the type and amount of contamination. The easiest way to avoid water pollution may be to drink only bottled water. Still, some say the plastic bottles could have a negative effect on your body. Many studies show that tap water is not much different than bottled water. However, it might pay to have a quality water filter installed. Perhaps the best way to protect ourselves from environmental danger is to keep the environment safe. This means smart conservation and care, including practicing energy savings. Plus, the proper disposal of electronics and batteries helps keep our water and soil clean for generations to come.